You'll be £12.99 closer to your next £10.00 credit when you purchase Lady of the House. What's this? This book tells the true stories of three genteel women who were born, raised, lived and died within the world of England’s Country Houses. This is not the story of ‘seen and not heard’ women, these are incredible women who endured tremendous tragedy and worked alongside their husbands to create a legacy that we are still benefitting from today. 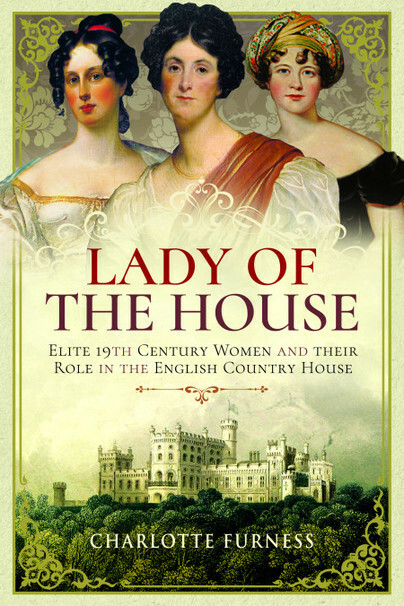 If you’ve always been interested in the impact that women can have on the renovations of a country estate, or just want to find out a bit more about the lives of nineteenth century upper-class women, then I’d recommend this book as a great starting point. There’s enough in this book to dip in and out of whilst you enjoy a cup of tea and you don’t need to strictly adhere to the chapters. Rather, I was encouraged to pick and choose interesting excerpts relating to all manner of interests. When a book has been well-researched, there’s truly a joy in reading it and constantly returning to it for more. Furness explores the lives of three women who changed the houses they found themselves mistresses of from old fashioned or run-down to modern country houses, employing the most prestigious architects and builders of their day. It’s an interesting volume for those interested in the development of the 19th century country house, and the place of the lady of the house in it’s development. I enjoyed the biographies of the women as well; they are not what you expect from 19th century genteel women. They aren’t retiring, social butterflies, producing heirs and spares and doing nothing useful. Charlotte Furness was born and raised in Huddersfield, West Yorkshire. After completing a Bachelor Degree in English, and a Master’s Degree in Country House Studies at the University of Leicester, she started a career in heritage, working for English Heritage and the trust-managed Lamport Hall. She has also worked at Harewood House, Temple Newsam House and Renishaw Hall. Whilst working in this field, she has come across many stories which, unless told, would have been lost in the annals of time. She now works as a full-time writer and sees it as her mission to bring these forgotten stories to the attention of as many readers as possible, to preserve them so that they can be enjoyed in their full glory. She also writes a blog, The Country House Hag, which shares snippets of her experience of working in heritage and her knowledge surrounding heritage and history.